Now that it is nearing December, and I have read all of my books for 2016, it was time to make my list for 2017. I wanted to try and read 75 books again. It is hard to find that many categories in one challenge (and Goodreads only does a 50 book challenge each year), so I had to kind of piece the categories together. It was harder than I thought to get 75 DIFFERENT categories than I did last year. There are a few categories I still need to add books to. Some I won't choose until we get into the year, but most I have filled. This year I have decided it was time to tackle more classics. I am not sure this was a wise choice - only time will tell. I read a lot of things I liked in 2016, but I tried to make it easy on myself for a lot of the categories. Wanted to make sure I finished the challenge. So this year - I am going to make it more about quality than quantity, and STILL try to read all 75. We shall see how that goes. I am DONE! I have read 75 books - which was my challenge for this year. I had 73 categories to put books in, plus I read two extra books of my choice. (and I am working on #76 right now). This was a big challenge for me. It is the most books I have ever read in a year. I tried to pick a lot of books around the 300 page or less sizes to help me make it, but I did read quite a few 500 plus books as well. Pretty proud of my accomplishment. I have already picked my categories for next year's challenge, and I am looking forward to starting those in January. I chose a few harder - and bigger - books for next year, and quite a few more "classics". I let myself off easy this year, so we will see how it goes. Next year I picked 75 true categories, but there are a few categories I have not filled yet (and won't until the year begins), so that gives me a little wiggle room to pick a few books later on. I think this year, I only changed one book out of the 73 categories. Meaning - a book I had picked late in 2015 that I thought I would like, got into it, and just could not make myself read it for any reason. Not bad considering I never know what I am getting into. I am so glad I started this type of reading two years ago. After being in a rut for a very long time, and just walking around the book store/library with no direction, it gave me a way to read books I would have never chosen on my own. There are so many amazing books out there that I would never have given a second look to if I had not added them to a category in the challenge. 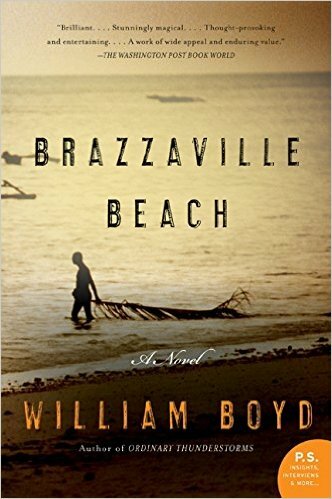 If you are in a reading rut, I challenge you to give this a try. You don't have to read 75 books. You don't even have to read 50. You could look at the different reading challenges that are out there, and pick one that is right for you - whether it is 10 books or 1000. Make your own challenge by taking a few different categories from different reading lists. That is why I did for the 2017 challenge. (there are not many out there to read 75 books or more). It gave me a little control but still had me reading outside of my comfort zone. A perfect combination. The most important thing you take away from all of this is to read. Don't let reading ever leave your life. So many young people say "why do we need libraries? Libraries are obsolete". We must fight to make sure that is NEVER made true. The time we stop reading and books stop being important is the time where life has truly taken a dark turn. Get out there and read. Learn! Knowledge is power. 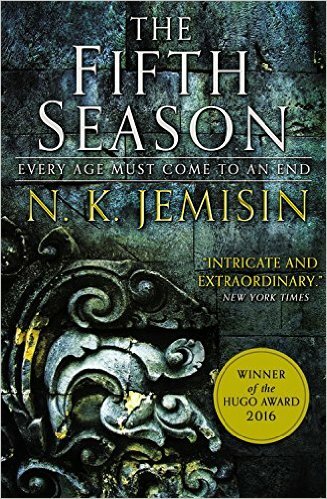 Today I am reviewing the LAST book that was in a category for 2016. (73 categories, and 2 "extra books" is what I wanted to read this year). I cannot believe I made it! And still a month to spare - so I will be adding a few more books I am sure before the year ends. We will see how that goes - December is a busy month. This book was written by a social psychologist who tries to challenge conventional thinking about politics, morality, and religion. His life's work was on morality, and he sets out to prove that judgement arise from not only reason, but from personal feelings. He talks about how liberals and conservatives have such different views on right and wrong. What he proves is that both sides are actually right about their central concerns. This book was just okay. I actually had a hard time with a lot of it because it read like a drone manual. Just a lot of.....blah. It would get very wordy and very technical, but never really went anywhere in large sections of the book. There were a few things that were interesting spattered here and there in the book, but for the most part.....I just worked to get it over with. I don't recommend it. 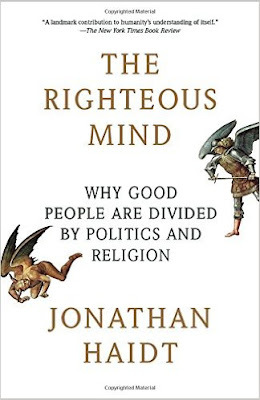 I think there are probably better books out there about the divide of religion and politics. This one just never really did much and took too long to get to the point in most chapters. This is the story of a chimp researcher, Hope, who relocates to Africa after her husband succumbs to mental illness and they separate. She goes to Africa and dives into her research but another crisis develops which threatens her career and her life. She is watching chimp behavior when she discovers behaviors that conflict with her boss's research. No one believes her when she reports her finds, and soon she finds her life and her career being threatened by the researchers around her. While we are thrown into Hope's story as a researcher, the story also travels back in time to the beginning of Hope's relationship with her husband and his dissent into madness. These two stories together help the reader discover why hope came to Africa in the first place, and what makes her return to London in the end. This was a pretty good book. I really enjoyed the sections about the chimp research and chimp behaviors. It also helped push the story along when the author gave us the background of Hope and what lead to her work in Africa. The transfer from past to present flows easily in this book. I definitely would recommend this one. It isn't a large book, and it isn't a hard read. Check it out. This is a story of a little orphan girl named Mary Lennox who was sent to a mansion in Yorkshire to live with her uncle and cousin. Mary had grown up a spoiled child and when she went to live with her uncle, she finds that he wants nothing to do with her. Her cousin has been tucked away as well, and he and Mary become close friends through their isolation from the world. 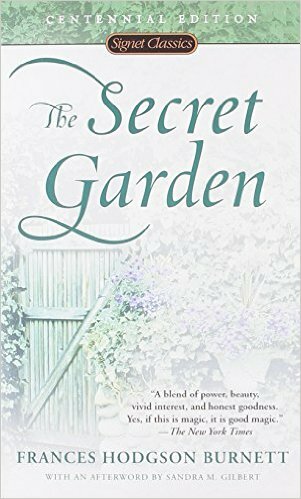 Hidden behind a huge wall is a secret garden which was discovered by Mary. The garden has been neglected so Mary and Colin set to bringing it back to life. While working in the garden, both Colin and Mary become healthier and happier. 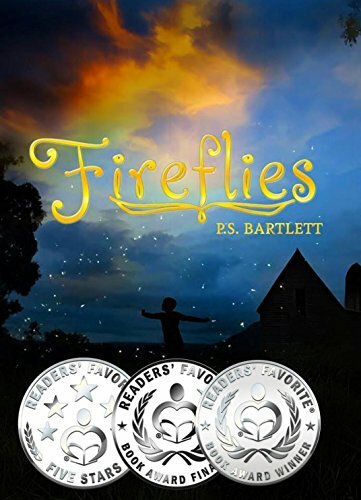 This is a great book for children/teens. It was written in 1911, so the style of writing is not what kids these days would be used to, but I do think they would still enjoy it. 70 books! Whoo hoo!! This is definitely a new record for me. 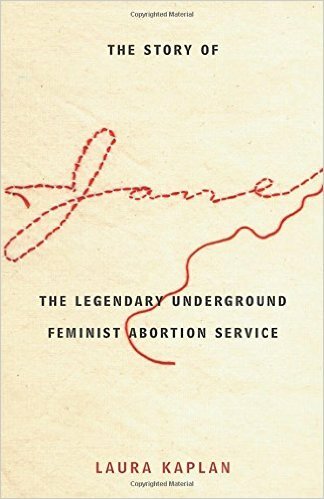 This is the true story of the underground abortion group from the late 60s, early 70s called Jane. In a time before abortion was made legal by Roe vs. Wade, women had nowhere to turn if they found themselves with an unwanted pregnancy. The women in Jane wanted to help these women and promote a feminist movement at the same time. The wanted to have control of their own lives and their own bodies, and not have the government dictate what they could/could not do with a private matter. 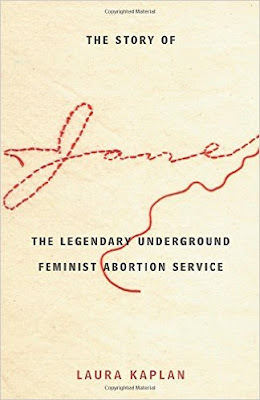 By the time Roe vs. Wade made abortion legal, Jane had helped several thousand women get health care they could not have gotten without this group. I know this is a controversial issue, and no matter which side you stand on - this was a good book. It has a lot of good points about the way women were treated mid-century and how we are still fighting a lot of battles still today. It took a group of women to say "no more" to make changes in this country in relation to women and their bodies. You simply cannot shut out people because you feel differently than they do - there are two sides to every story. It was a good book and told well. You saw the positive aspects of the group, but also the side where many women came and went from the group over the years due to changes in the hierarchy. Worth a read - check it out. They just keep coming!! I read a bunch of shorter ones/ones I wasn't thrilled about in a row here, so bare with me. 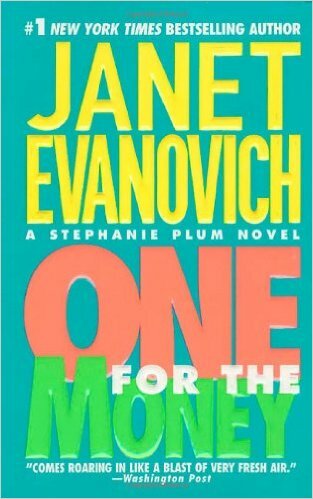 This is the story of Stephanie Plum - she has money problems, so she turns to her family for help. She starts working for her cousin who owns a bail bonds company. She talks her cousin into letting her take a bail recovery job of a person who is running from a Murder One charge, so she can earn $10,000. The criminal ends up being someone she slept with when she was in high school - Joe Morelli. Other characters join the chase, and Stephanie realizes she is in over her head. This book was pretty good. It was funny and kept me interested. It is quick, light reading, so that made it enjoyable. There was humor and romance, but the plot did fall short. But not to the point that I didn't want to finish the book. This is the story of a young boy named Ennis. He lives with his parents and his 6 siblings in Pennsylvania. Since his birth, Ennis has been followed by lost souls. But nothing comes to light until he is 6 years old and helps a hurt bird by healing it. His sister, Teagan, witnesses this but tell Ennis that he can never tell anyone what happened. One day, Teagan is injured badly, and Ennis heals her. At this time, his sister thinks they must tell their parents because she does not understand what is happening. Their mother dismisses the claim that Ennis is healing people until she and their father witness it for themselves. Soon Ennis reveals he has a gift of sight and soon starts questioning his parents about their past voyage to America from Ireland. And he can see that a neighbor is physically hurting his children. His gifts start to bring many past secrets to light, and soon Ennis realizes the connection between his father's past and the reason for his gifts. This is a pretty decent story. It moves pretty fast. The writing isn't great - seems to be written for middle grade readers. She does a good job developing the characters. At the end of the book, it left me wanting to know what happened to them, so I took that as a good sign. The author wasn't consistent with her writing - the characters were immigrants from Ireland. Sometimes she would write as they had an Irish accent, and sometimes she wouldn't. It was like she forgot whom was speaking. But, if you can overlook that, it is a sweet story. 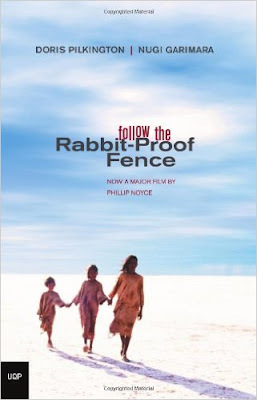 This is the true story of three young Aboriginal girls who were taken from their families and put in a Native Settlement in Australia. The reason they were taken was because they were "half caste" (their fathers were white), and they were being forced to be "made white". They were 100s of miles away from their families, but they decided to escape. The knew there was a rabbit proof fence that would lead them back home, and if they found that, they would get back to their parents. This book was very poorly written. It was unorganized and confusing and I had a very hard time getting into it. It took half of the 160 pages to even get to the story of the girls, and then it raced through their escape and return home. The book was so jumbled that I was sure it was written by a child. There is no plot development, no character development.....it was just a jumbled mess. The author switched back and forth between using Aboriginal words and English words, but never really takes the time to explain what the Aboriginal words meant. She wrote it as if all readers would know what she was talking about. This is a story of a mother and daughter who don't get to see each other very often. They leave each other notes on their refrigerator door as a way of communication. The mom - a physician - works odd hours, and the daughter - a teenager - spends so much time with her friends outside of school that the two hardly talk. 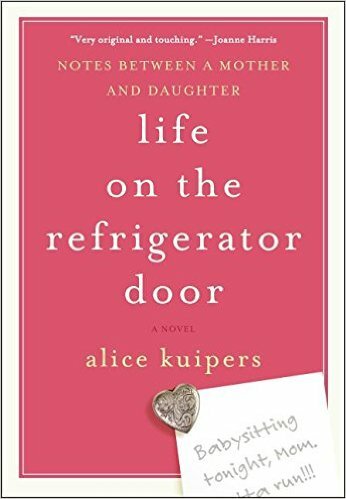 Then a family tragedy strikes, and as much as the mother and daughter try to make more time for each other, they just can't seem to make that happen. Their are many regrets and things that are left unsaid. This was a very quick book. Each page was a note from one person or the other - took me no longer than an hour to read the whole book. It was fine. I got the idea - never put off spending time with your loved ones. Nothing is more important. I liked that the whole story unfolded just through notes left back and forth between the mother and daughter, but they could have made it more in depth. I didn't get very attached to the characters with the story written this way. If you are looking for a really, really fast read, you can pick up this book. I wouldn't spend money on it - if you can't borrow it, then skip it. This is a story that takes place in a world called "The Stillness" which is a world that has suffered many different seasons and catastrophes. The story is told by three different narrators who are known as orogenes - people who have power to move the earth. Orogenes are not well admired or liked. Most of them have to be trained to control their powers, and some are in hiding pretending to be something different than they are. The story starts with Essun - whose husband has just murdered their son and run off with their daughter. She starts on a journey to find her husband and daughter during a time when a seismic activity has just happened and a new Season begins. Her story is told along side Syenite a young orogene who is becoming more powerful and is on a journey with the most power orogene alive, and Damaya who is a child orogene who was just discovered and brought to the Fulcrum to begin her training. Over the course of the book, their stories converge but not in the way you were expecting. I liked this book. Didn't love it. I have a hard time with authors who make up words for the sake of making them up. It is like they are trying too hard to develop a world. The stories of the three narrators jumps around quite a bit as well. Especially for Syenite's character. We find out she is pregnant, and the next thing - it is two years later. She jumps forward quite a bit for two of the narrators, but not so much with the third. The story gets bogged down with her crazy words and technical speak. I really wanted to like it - I am usually a fan of post-apocolyptic fantasies. But this one just didn't work.